Happy Hot Day Day! Probably any Chicagoan would agree that our Chicago Dogs are the top dog, but the next best thing has got to be the New England Style dog from Meatheads. And since it's National Hot Dog Day, it's the perfect time to give it a try. 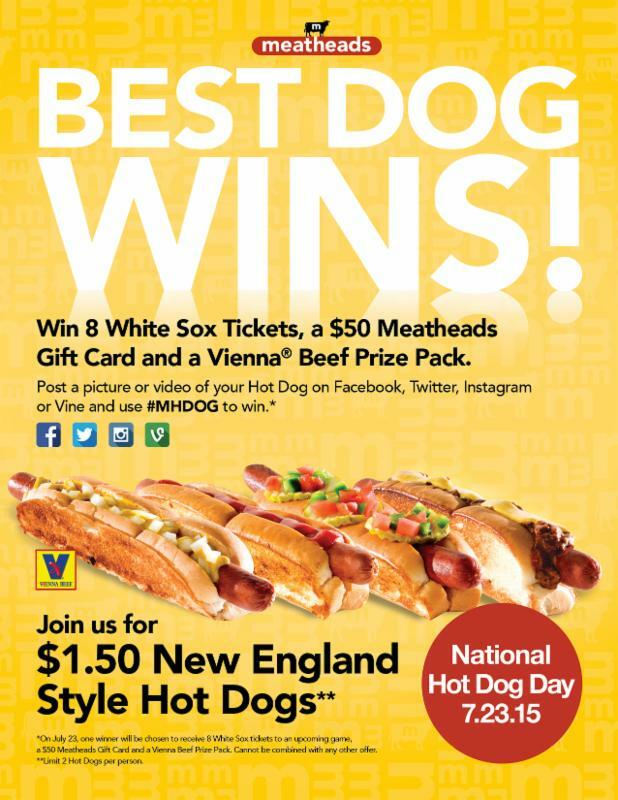 Today they are offering $1.50 New England Style Dogs and if you post a pic of your masterpiece, you might win a big prize. Post your picture or video of your dog today with hashtag #MHDOG to enter.